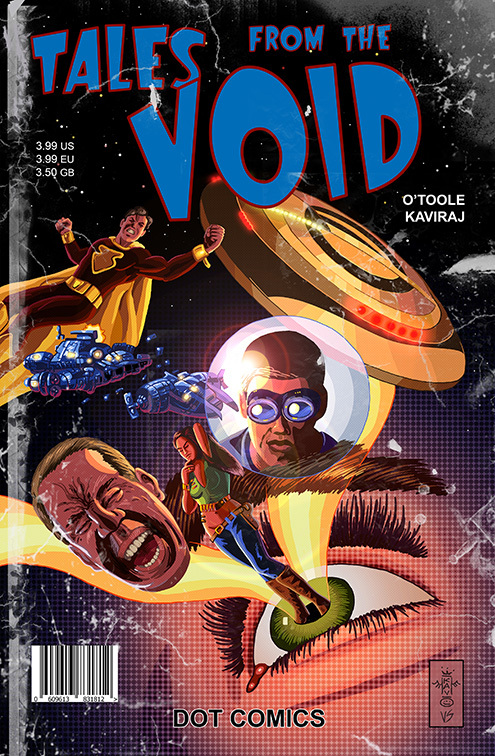 Tales from the Void is a series of 5 stories written by Darrin O’Toole and artist A. Kaviraj. It harkens back to great sci-fi and b-movies such as “The Outer Limits” and “The Twilight Zone”. 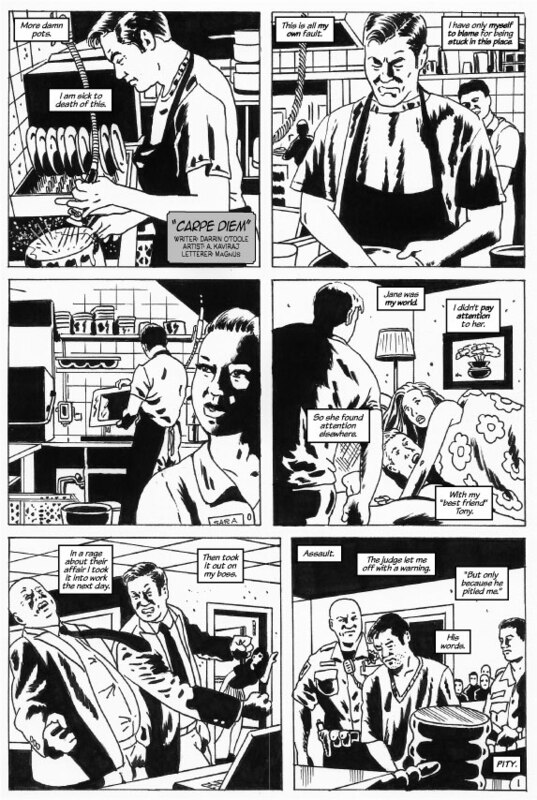 All 5 tales feature huge twists and surreal events. Also included is a sneak peek at the upcoming releases on DOT Comics, including the Earthruler cover by Shawn Langley and the Streamliners cover by John Christopher.